When citizen activists supported the legislature to create the Open Space Authority a quarter century ago, they were investing in the health of our community – our home. Investing in open space is the best thing we can do for our shared future. By protecting, connecting, and restoring land, we can safeguard not only the land, but also its conservation values and the many associated environmental and community benefits. This includes, of course, opportunities for recreation, protecting water resources and scenic landscapes, and connecting wildlife via corridors that provide ecological integrity and resilience in the face of a changing climate. Today, I am proud to say that the region has begun to reap the benefits of the Open Space Authority's ongoing investments. We have protected more than 25,000 acres, offering opportunities for nature enjoyment and education in open spaces throughout the valley. We’ve partnered with ranchers and farmers to protect working lands so that they can continue to provide environmental benefits for all of us. And we’ve invested over $10 million in urban open space grants to connect community and help people experience nature close to home through urban parks, trails, community gardens, and environmental education programs. This would not have been possible without our many volunteers and countless state, regional, and local community partners. The Open Space Authority is a small agency with a big mission, and our public and private partners are essential to accomplishing our shared goals. In addition to the conservation and recreation benefits of protected open space, the land provides us with many community benefits: natural, functioning floodplains can absorb heavy rainfall and runoff; aquifer recharge areas help ensure a clean, local water supply; agricultural lands produce fresh food and support our local economy. As we celebrate our 25-year milestone, we are looking to the next quarter century - and beyond. With significant growth projected to continue in Santa Clara County, and climate change threatening more extreme temperatures, droughts, and rainfall patterns, our work is more important than ever before. We will continue to focus on conservation and restoration, especially in Coyote Valley, which offers an unparalleled opportunity to provide cost-effective, efficient nature-based resilience to climate change, while also providing a number of other ecological, economic, and quality of life benefits – now and in the future. We will develop new and deeper partnerships with landowners, local and state agencies, public and private conservation partners, and local residents who share our commitment to open space in the Santa Clara Valley. We will also continue to engage youth, connecting with diverse communities throughout Santa Clara Valley, and building new partnerships to ensure that the next generation of conservation leaders stands ready to continue this legacy. This future, like our past, depends on your support and engagement. I look forward to working together – for the sustainability of our own backyard over the next 25 years. Coyote Valley plays a critical role in the health and sustainability of our entire region, especially in the face of climate change. Strategic conservation investments in Coyote Valley can provide many valuable benefits to our urban communities by using nature as infrastructure to enhance or even replace traditional urban infrastructure like water treatment and flood prevention. Conservation and restoration in Coyote Valley can help to reduce greenhouse gases, store carbon, and buffer the effects of extreme climate events. For example, the floodplains of Coyote Valley have the capacity to absorb heavy rainfall, helping replenish our water supply and lessen the degree of downstream flooding. 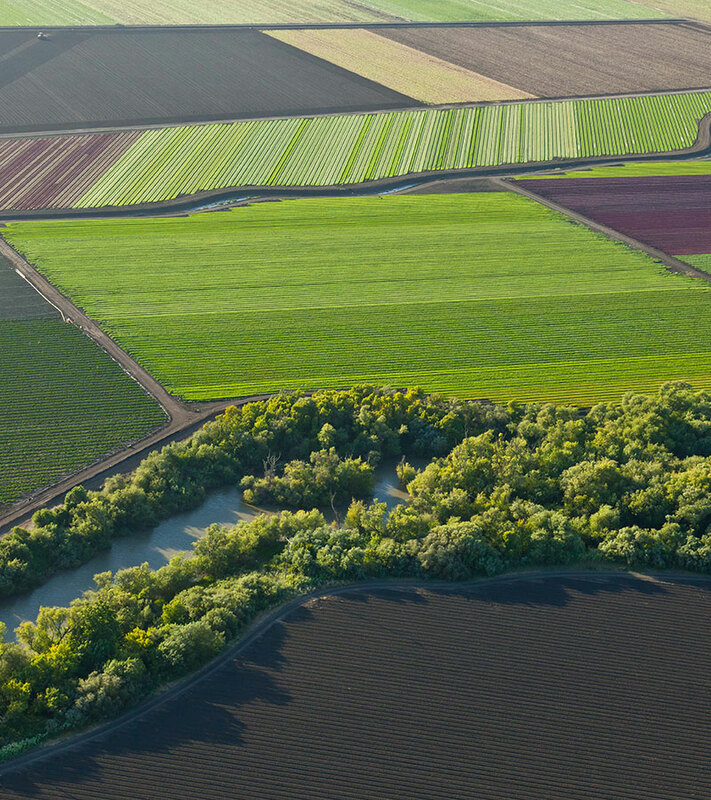 Coyote Valley offers an unparalleled opportunity to provide cost-effective, efficient nature-based resilience to climate change, while also providing a number of other ecological, economic, and quality of life benefits – now and in the future. The Open Space Authority shared this vision at the Global Climate Action Summit that brought 4,000 delegates from around the world to San Francisco in September. Focusing on local climate actions, the Authority led a special day-long bus tour of Coyote Valley for more than 60 participants from around the world, showcasing policy, conservation, and agricultural strategies and tools for climate resilience. In a stop at San Jose City Hall, Mayor Liccardo highlighted the City’s Climate Smart Plan, mentioning the plan’s second phase, currently underway, that will incorporate Natural and Working Lands contributions to fighting climate change. The tour also featured the work of our partners across the Atlantic – a non-profit organization known as Terre et Cité (Land and City), which is working to preserve a cherished agricultural landscape just south of Paris. Partnerships are the key to all of our work, and this is especially true in protecting Coyote Valley. The Authority is working with the City of San Jose, the Santa Clara Valley Water District, and a number of other public agencies and nonprofit partners to better quantify the benefits of protecting Coyote Valley and advocate for our shared future. The Authority partnered with the City of San Jose to install the first wildlife crossing signage along Monterey Road in Coyote Valley. Placement of this signage will improve safety for both human and natural communities while also raising awareness of the need to accommodate wildlife movement in this critical wildlife corridor. In November, San Jose voters overwhelmingly approved Measure T, a local infrastructure bond measure that authorizes $650 million for emergency and disaster response and infrastructure. The measure funds traditional built infrastructure projects, including emergency facilities and bridge repairs, along with funding for natural land protection and restoration projects to reduce risk of downstream flooding and degradation of water quality. This bond measure presents a once-in-a-lifetime opportunity to help preserve Coyote Valley for its natural infrastructure benefits to the community. We marked the Open Space Authority’s first quarter century with some special programs and publications. Throughout the year, 159 community members of all ages joined guest artist Edward Rooks for family-friendly plein air painting workshops at various preserves – and took home their paintings of the beautiful views. We celebrated Earth Day at Coyote Ridge Open Space Preserve with a series of multilingual hikes in and around the preserve. 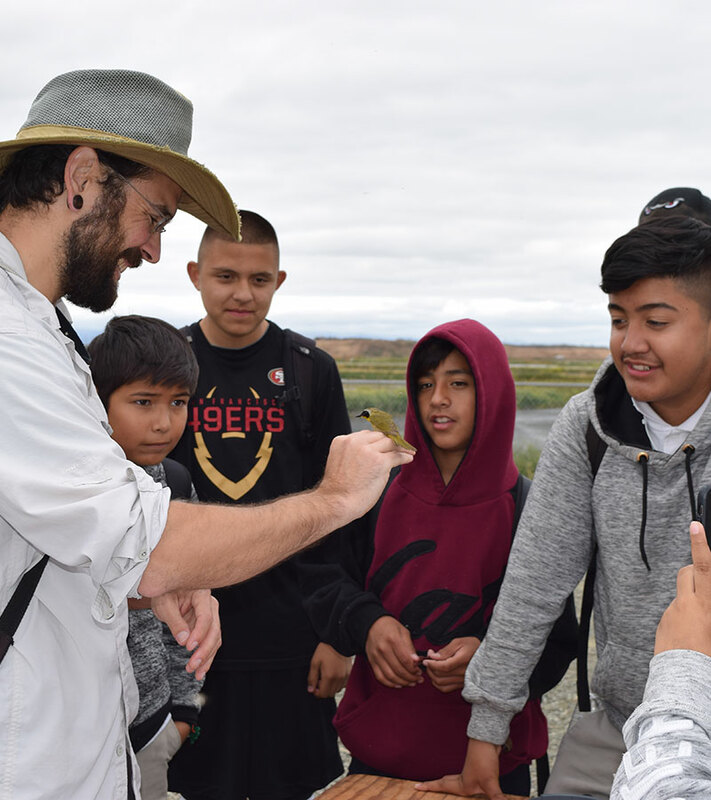 Participants enjoyed breathtaking views and the preserve’s stunning native wildflowers, learned about agriculture in Coyote Valley, and observed the local wildlife. Supporters from throughout the Valley gathered at the new Open Space Authority headquarters in September to celebrate the foresight and tireless efforts of the community organizers who worked to establish the agency well over 25 years ago. We shared views of our past – and our future – with our 25th Anniversary video, which features recent Urban Open Space projects that were funded by the Authority, and interviews with Authority staff, volunteers, and partners. Our new Come Discover Nature Guidebook helps people explore and learn about the plants and wildlife in our open space preserves. Filled with photos and descriptions, the free downloadable guide describes our open space preserves and where visitors have the best chance of seeing featured mammals, birds, amphibians, invertebrates, and native plants and wildflowers. Because our preserves include some of the region’s most important wildlife habitat, it’s no surprise that they attract birds. We shared a Birdwatchers Guide to Coyote Valley to help birders of all levels learn about the resident and migratory species in Coyote Valley, and when and where to spot them. With funding from Measure Q, the Authority this year awarded nearly $1,000,000 in Urban Open Space and Environmental Education grants to 21 projects and programs that connect people to nature. An example of the excellent work being done by grantees is The San Francisco Bay Bird Observatory, which used their environmental education grant to bring 250 students from San Jose’s Windmill Springs Elementary School into the field for hands-on lessons in bird ecology and collecting data about migration, including up-close observation of banding and measuring birds in the field right along Coyote Creek. The public is now enjoying two new spaces funded by the 20% Funding program. The new Three Creeks Trail in San Jose’s Willow Glen neighborhood opened. 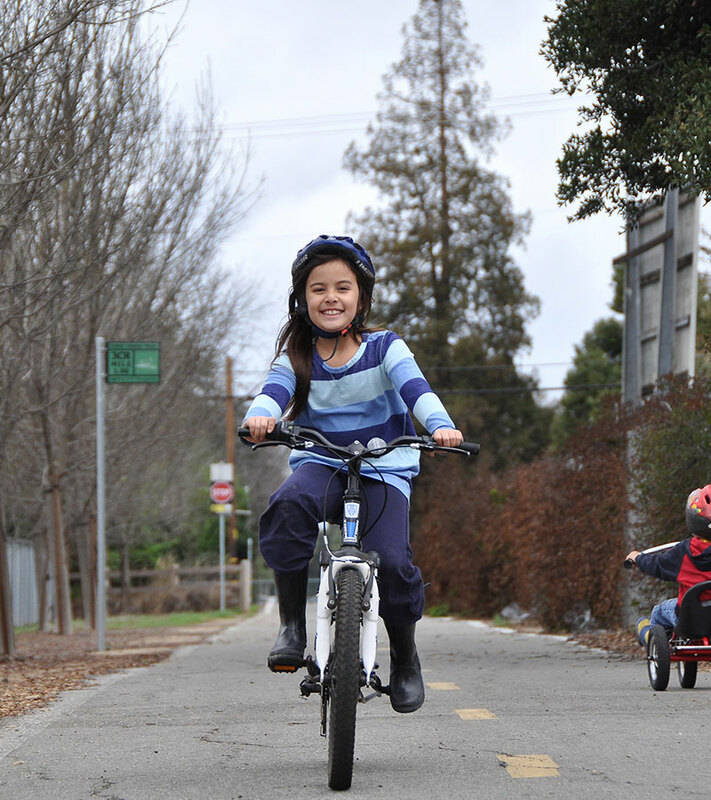 This trail is the start to connect the Los Gatos Creek Trail, Guadalupe Creek Trail, and Coyote Creek Trail, improving pedestrian, bike, and wheelchair access to nearby neighborhoods. 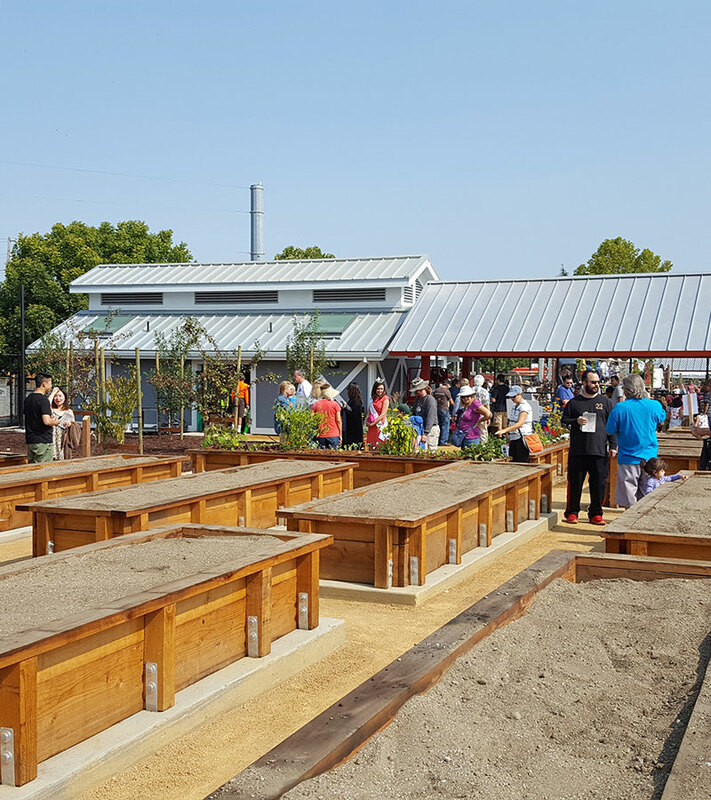 And in Santa Clara, the San Tomas & Monroe Neighborhood Park and Community Garden opened this year. Right along the San Tomas Aquino Creek Trail, this three-acre city park includes playgrounds, picnic tables, an outdoor classroom, and a large community garden. Our urban success stories are highlighted on this map, which shows where and how the Open Space Authority is connecting people to nature in their neighborhoods. 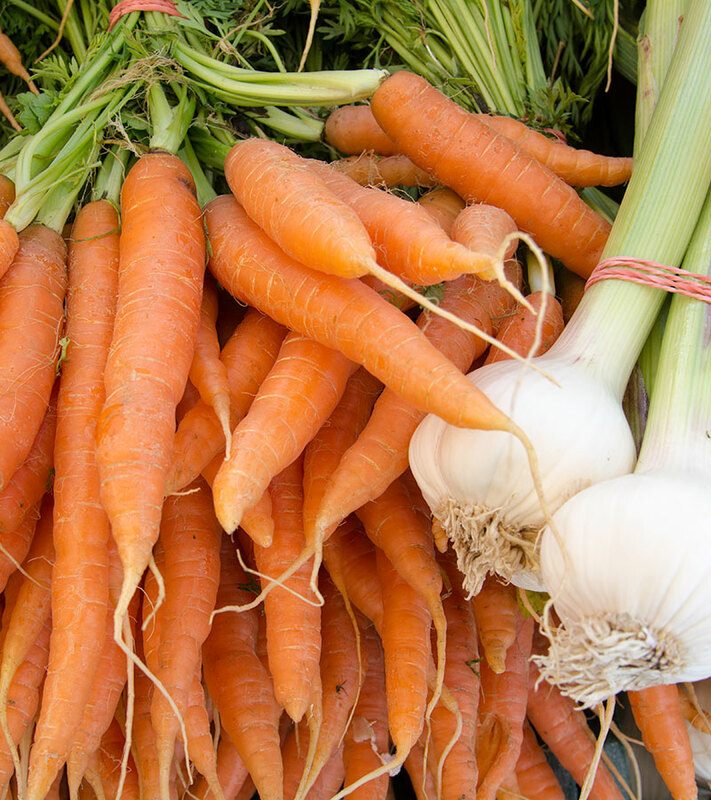 In 2018, Santa Clara County adopted the Santa Clara Valley Agricultural Plan, an innovative partnership between the Authority and the County to protect at-risk farms and ranches in the Santa Clara Valley. The aim is to support the agricultural economy, maintain ecosystem services provided by working lands, and meet the State’s climate reduction targets by reducing sprawl and associated greenhouse gas emissions. Concentrating on agricultural lands from Coyote Valley south to Gilroy, the Plan focuses on improved land use policies to reduce conversion of agricultural lands, a regional agricultural conservation easement program, an agricultural economic development strategy, and a local marketing effort. The Authority participated in the County’s new Agricultural Preservation Task Force to develop specific recommendations to implement the Plan’s strategies, including identifying potential funding. Final recommendations from the Task Force included the creation of a new Agricultural Advisory Commission to advise in developing and implementing a formal Agricultural Conservation Easement Program. Task Force recommendations also included an Agricultural Resilience Incentive Grant Program, which will award farmers and ranchers who wish to make upgrades to their properties in order to build resilience to climate change. On November 27, California's Department of Conservation and Strategic Growth Council awarded just over $15 million to the Authority and County of Santa Clara through the Sustainable Agricultural Lands Conservation Program (SALCP) for the purchase of three Agricultural Conservation Easements. The properties, totaling 252 acres, are almost entirely prime farmland or farmland of statewide importance. Funding for SALCP comes from the state’s Cap and Trade Program through California Climate Investments. 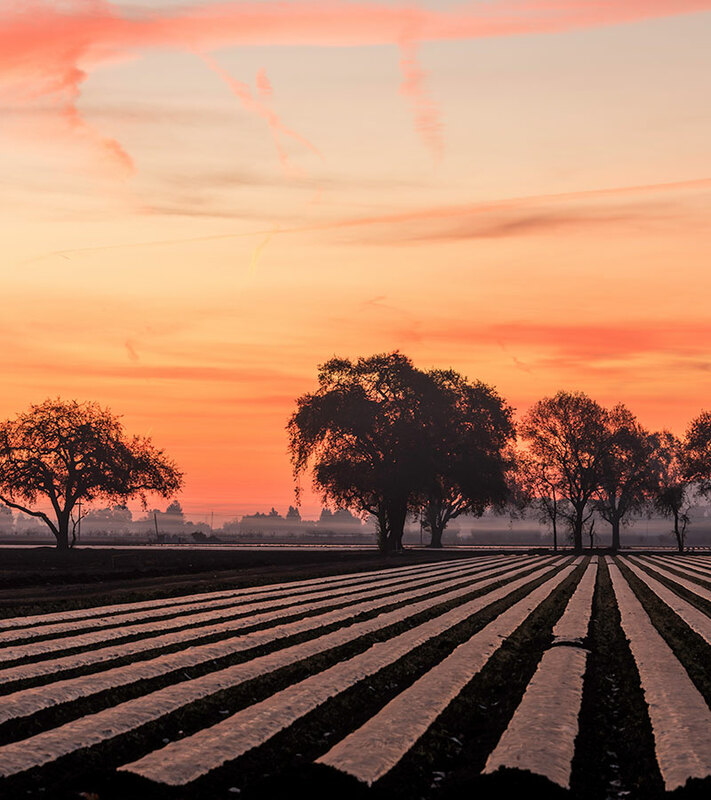 In addition to that, the Authority and County received a 2018 Governor's Environmental and Economic Leadership Award (GEELA) on December 5 for the Santa Clara Valley Agricultural Plan. GEELA is California's highest environmental honor, which recognizes those who have demonstrated exceptional leadership and made notable, voluntary contributions in conserving California’s precious resources, protecting and enhancing our environment, building public-private partnerships, and strengthening the state’s economy. The Open Space Authority leveraged public-private partnerships to acquire three strategic properties this year, moving closer to our shared vision of restored watersheds, connected networks of open space, and protected open space lands. A set of coordinated acquisitions just south of Almaden Reservoir will link more than 31,000 acres of protected lands in the Santa Cruz Mountains, creating a permanently protected corridor between Rancho Cañada del Oro Open Space Preserve and Midpeninsula Regional Open Space District’s Sierra Azul Open Space Preserve. Peninsula Open Space Trust (POST), in partnership with the Authority, purchased the 326-acre Barrett Canyon property, a critical portion of a watershed that provides drinking water for San Jose. POST cleaned and restored the property, and then transferred it to the Authority for management as part of a network of beautiful open space with plenty of opportunity for recreation and wildlife connectivity. Concurrently, the Midpeninsula Regional Open Space District (Midpen) purchased a connecting 154-acre parcel for addition to its Sierra Azul Open Space Preserve. A second POST-Authority partnership acquisition of 158 acres widens the link between our Rancho Cañada del Oro Open Space Preserve and Midpen’s Sierra Azul. The Authority envisions partnering with Midpen to eventually establish trails across the property to connect a combined network of 37 miles of existing trails across both Rancho Cañada del Oro and Sierra Azul, including the popular Bay Area Ridge Trail. The Authority’s first redwood forest property came as a generous gift from the Julian McPhee family, that wished to preserve their long-time family property for others to enjoy. Adjacent to Uvas Canyon County Park, the land is part of a critical landscape linkage with great conservation values, including habitat for native fish. Habitat restoration is a critical, ongoing part of the Authority’s land stewardship. Authority staff and volunteers have worked for more than a year to clean up trash and remove graffiti at the 100-acre North Pajaro River Agricultural Preserve. Restoration on neighboring properties, along the Pajaro River corridor, has enhanced flood control and improved riparian habitat. The land is now ready for farming, and the Authority has leased it to local farmers who will grow green beans and other organic row crops, with potential for docent-led farm walks in the future. As part of our effort to protect and restore grassland habitat for the western burrowing owl, the Authority was pleased to see that restoration of the South Valley Meadow at Coyote Valley Open Space Preserve has encouraged burrowing owls to frequent the preserve more often. The owls have been sighted several times in the serpentine hillside above the meadow. Authority staff also collaborated with owl expert Dr. Lynne Trulio of San Jose State University to create artificial burrows designed to attract owls to stay in the summer and breed in Sierra Vista Open Space Preserve instead of migrating to other breeding grounds. As the study continues, we hope to learn more about how to best restore breeding owl habitat. By grazing non-native plants, the cattle at Coyote Ridge Open Space Preserve play an important role in enhancing habitat for rare species and reducing fire risk. To support sustainable grazing, the Authority plans to make improvements to Coyote Ridge and adjacent ranchlands. Old fencing will be replaced with a type that makes it easier for wildlife to pass through, while still keeping cattle contained and away from sensitive habitat such as riparian areas. New springs and troughs will also make it easier to move cattle where they are needed. Our programs get people outside to explore, learn, and exercise their bodies and minds. This year, we provided more ways for people of all ages to connect to nature through our environmental education and volunteer programs. We also made it easier for people to access open space in various ways. 131 people participated in our Seniors Hike for Health, a series of gentle walks in six different local parks and open space, and learned about getting healthy by moving outdoors. Photographers of all ages woke up early for Photography at Dawn, a series of early morning hikes at our open space preserves. Led by Seasonal Education Aide and avid photographer, David Mauk, 50 people hiked some of the preserves’ most scenic trails and captured photos of wildlife, morning fog, and spectacular sunrises. Young nature enthusiasts and their families enjoyed our Junior Open Space Explorers Program, a summer day camp. Explorers got to talk to our field staff, hike, and learn more about our gear and tools, including what they do to prevent and fight wildfires. Throughout the year, volunteers helped clean up, restore, and improve access at our preserves. In the year’s largest Land Steward service day, more than 200 enthusiastic freshman students from The Harker School helped with trail maintenance, saving hundreds of hours of work for Authority staff. Woven into the day’s trail work, the students enjoyed lessons on the history of local Native Americans, oak trees, and wildlife - and wrote stories about their experience. The Authority kicked off a series of planning projects that will increase public access to open space lands. Improvements at Coyote Ridge Open Space Preserve will include an accessible parking lot and interpretive trail, plus a trail connection to a planned new section of the Bay Area Ridge Trail. At Rancho Cañada del Oro Open Space Preserve, a new bridge will allow hikers access to the southern portion of the preserve and longer distance hiking. An accessible trail and interpretive station at Coyote Valley Open Space Preserve will highlight habitat restoration efforts in the area. Our new guided Behind-the-Scenes tours allowed the public to enjoy our properties that are undergoing restoration or are still on their way to becoming open space preserves. At our Open Weekends at Diablo Foothills, more than 180 people enjoyed walking, biking, and riding in the reservation-only preserve. At Little Uvas Creek Preserve, we held several family-friendly plein air painting workshops, as well as evening walks where docents helped groups look for and learn about bats. At Coyote Ridge Open Space Preserve, the Walking with Wildflowers Photo Tour let more than 1,000 visitors explore and learn about native wildflowers and butterflies while taking some fabulous photographs. The Open Space Authority is studying and advocating for the use of nature as infrastructure for climate resilience. Conservation and restoration in Coyote Valley can reduce greenhouse gas emissions, store carbon, and buffer effects of increased temperatures and flood events. By protecting a large, interconnected landscape, with a focus on water resources, we can build resilience that will allow both natural and human communities to simultaneously reduce the effects of climate change and adapt to its impacts. Climate Smart San José is a people-centered, data-driven plan for preparing for the future of San Jose. The Authority is working closely with the City to identify where investments in open space and working lands, including Coyote Valley, can help the City reach its Climate Smart and environmental goals. The Authority is partnering with the Santa Clara Valley Water District on the Coyote Valley Water Resource Investment Strategy, a scientific assessment of large-scale green infrastructure opportunities in Coyote Valley. For example, floodplain restoration in Coyote Valley can buffer San Jose from future extreme events by allowing water to spread over large, undeveloped areas upstream of urban development. Nature as infrastructure can be more efficient, more resilient, and less expensive than single-purpose built infrastructure. The Authority is part of a regional collaboration to study and quantify the services and benefits of open space in Santa Clara, Santa Cruz, and Sonoma Counties. The Healthy Lands Healthy Economies Initiative (HLHE) produced the first-ever regional report on the services and benefits provided by open space and working landscapes. These services, including clean air, fresh water, storm and flood protection, food and fiber materials, carbon sequestration, recreation, and public health benefits, were valued at up to $12.6 billion across the three counties. The HLHE Initiative aims to show the economic returns on investment in open space, and to help local, state, and federal agencies, utilities, and private funders make better decisions about the protection and stewardship of working and natural lands, and how the ecosystem services provided by these lands can complement built infrastructure. The Open Space Authority is committed to being open, transparent, and accountable. We encourage public participation and collaboration, seek public feedback to improve our work, and regularly communicate about our projects and processes. We are proud to have again received the District Transparency Certificate of Excellence by the Special District Leadership Foundation in recognition of our outstanding efforts to promote transparency and good governance. Continuing this good work, a subcommittee comprised of Board and Citizens’ Advisory Committee (CAC) members worked diligently throughout the year to revise the purpose and role of the CAC, with a focus on how the CAC can be more responsive to the Board and collaborate more effectively on behalf of the Authority’s mission and community. This work resulted in an updated Handbook for the CAC, which further empowers members who have a unique connection to their communities to serve as open space liaisons and help fulfill the Authority’s mission. The Authority also said farewell to long time District 5 Board Member, Virginia Holtz. Virginia first served on the CAC from 1994-2005 and then on the Authority’s Board of Directors from 2005-2018. 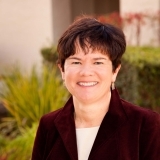 As her tenure comes to a close the Authority would like to acknowledge her passion, dedication, energy, and thoughtfulness in serving our communities and the Open Space Authority since prior to its creation in 1993. With the scars of the 2016 Loma Fire starting to heal, our field staff work year-round to reduce wildlife risk. This year they performed maintenance on a fuel break – a strip of land where vegetation is cut away from either side of a road – at Rancho Cañada del Oro Open Space Preserve, which had stopped the Loma Fire from spreading to the north. 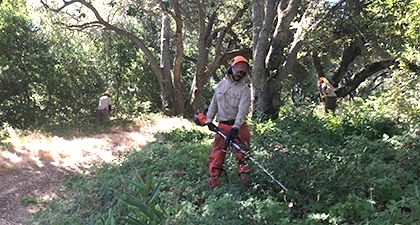 The Authority also leveraged over $30,000 in staff time and equipment from CalFire to create a 30-foot-wide fire break along the Calaveras Fault Trail at Sierra Vista Open Space Preserve. The Open Space Authority is primarily funded by a benefit assessment and an annual $24 parcel tax, Measure Q, with additional funding from grants and gifts. Financial reports and audits are released after the close of each fiscal year, and are available here. 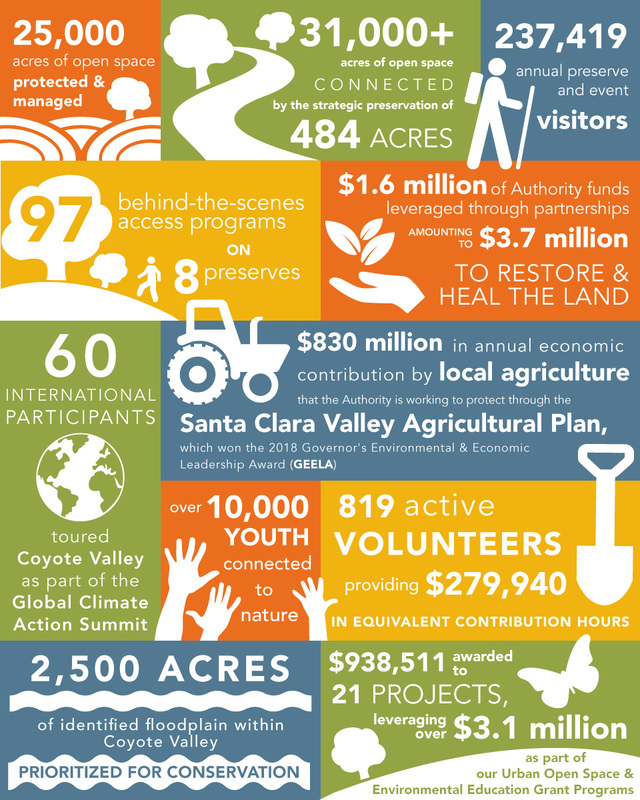 The successes of our 25th Anniversary Year were possible thanks to the support of many community partners and donors – some of whom have been with us since the Open Space Authority began in 1993. Reflecting on 2018, we'd like to take this time to thank the following agencies, corporations, nonprofit organizations, and individuals from throughout our community for their support this past year. Collaborations, donations, and volunteer time all leverage public funds to help us protect and restore open space for the community to appreciate and enjoy. To see past Year in Review reports, click here.